3 hp US Motors Agitator Drive. 1.5 hp Lightnin Mixer, Agitator. with stainless steel shaft and prop. 25 hp Chemineer Agitator Drive. 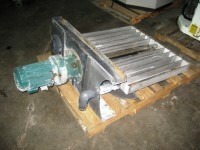 1.5 hp Lightnin Mixer, agitator, bridge mount. 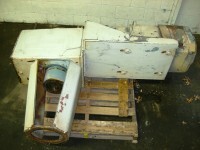 used 1/2 hp Lightnin Vektor Agitator, with mechanical seal. 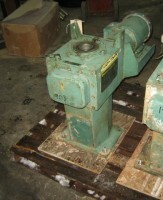 1 hp Agitator, gear reduced drive, with shaft and blade. 1.5 hp Chemineer Agitator Drive, shaft, and blade. 2 hp Bridge Mount Agitator Drive.